Planning a vacation any time soon? Want to pack as lightly as possible for the trip? 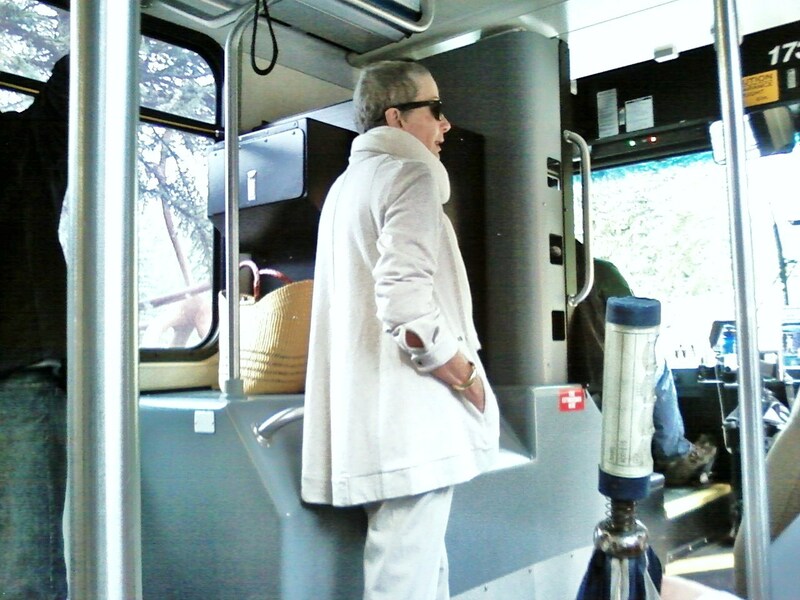 My advice to women over 50 traveling in summertime is simple: Pack white. Is there a more versatile color in summer? I don’t think so. 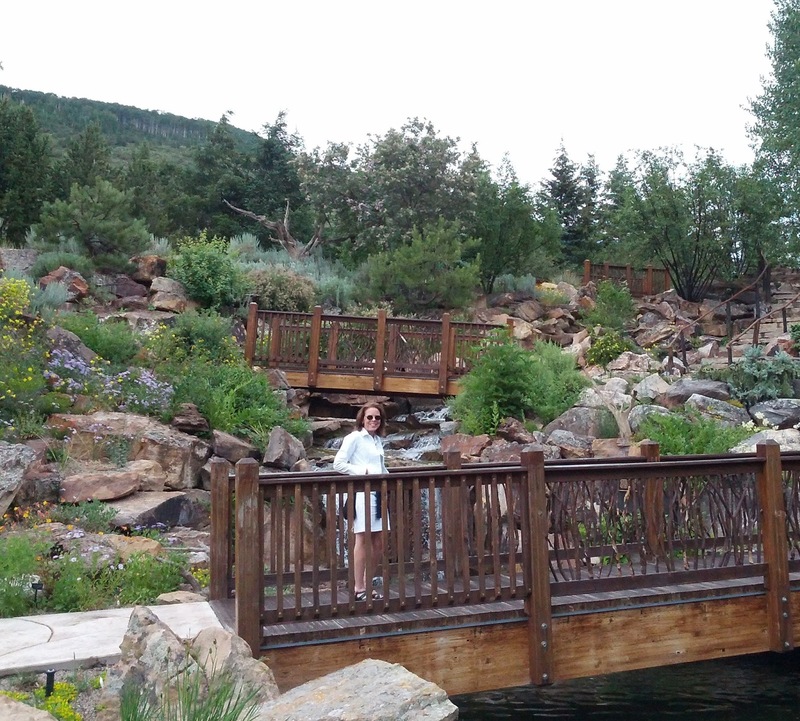 Here in Vail, Colorado, where my husband and I are currently on vacation, I’ve seen over 50 women in head-to-toe white, in black and white, in white by day and white by night. For casual summer evenings, a black and white look, like the woman above, is so simple, yet sophisticated. This is the third post on what I packed for my mountain vacation (for more, see Packing for Summer Vacation in the Mountains and Mountain Casual: Summer Style at 8,000 Feet) and what I saw other women wearing. For this installment, I'm focusing on what to wear in the evening. The answer: White! The first two days of our vacation were absolutely gorgeous. The temperatures were mild, even in the evenings. When my husband and I went out to dinner, I only wore my light sweater. Other women (photos above and below) opted for long-sleeve tunics. While the tunics varied, the pants were almost always white. (Okay, I saw some black pants, too.) I love the way the woman at the top of this post has styled her white pants with the long black tunic, the simple chain necklace and black sandals. I keep reading about flared pants and how they're in vogue, but I can't say I've seen many women wearing them. Skinny cropped slacks seem to be everywhere, in Vail and in New York. So...when I saw the woman in the photo below, I got excited. (Sorry for the blurry shot!) Her long, fitted tunic looks great with the billowy white pants. On the third bright and sunny morning, I asked a local: "Does it ever rain here?" He said, "Yes, we'll get a storm in the afternoon." 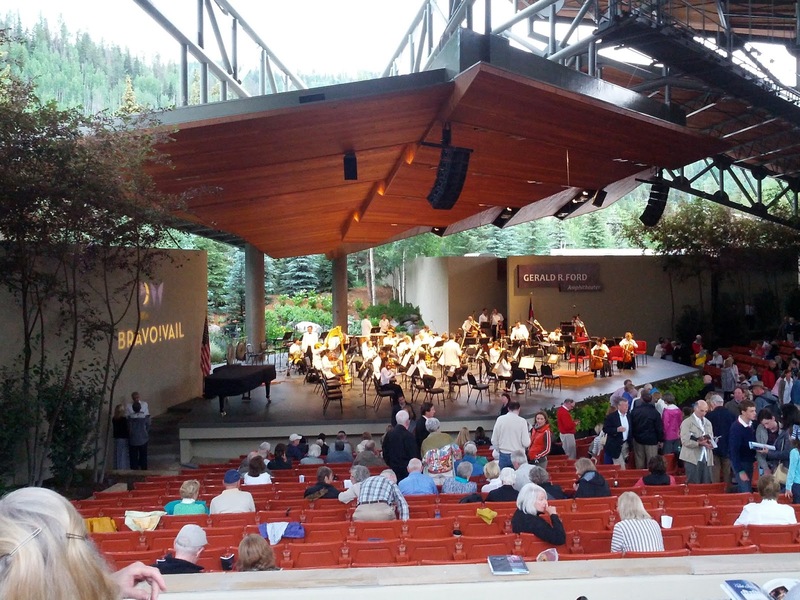 And then, that very afternoon, it poured.That night, we planned to visit the Betty Ford Alpine Gardens and then listen to classical music at the Gerald R. Ford Amphitheater. I knew the temperature had dropped after the thunderstorm and decided to wear my white jacket with my white skirt. A jean jacket isn't what I'd normally think of as "evening wear." 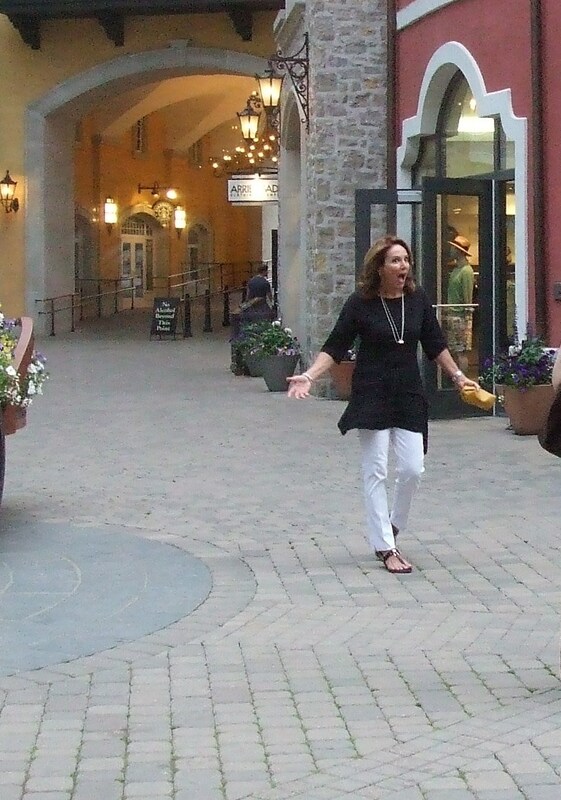 But in casual Vail, it seemed perfect. While waiting for the Vail village bus to the garden and amphitheater, I realized my jean jacket might not be enough for an outdoor concert. 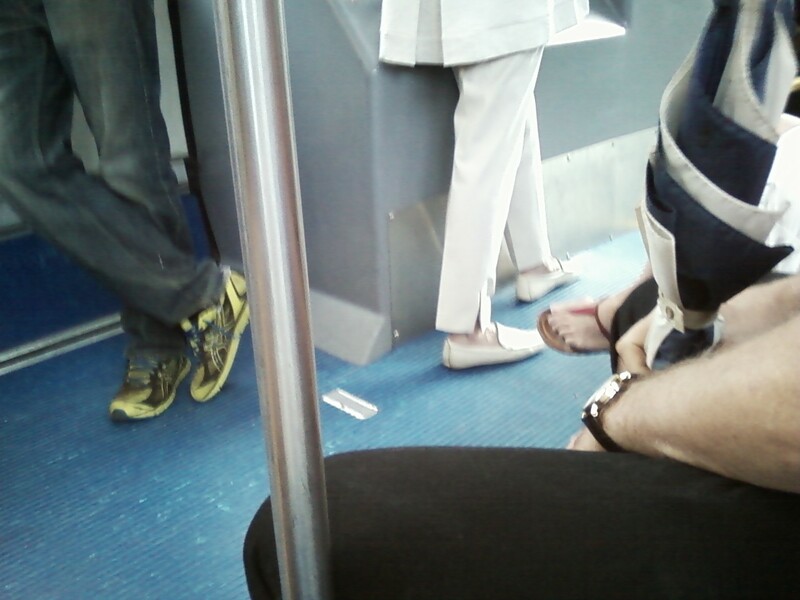 On the bus, I snapped a photo of woman (below) who looked so cozy and warm in a pale grey knit swing jacket and matching pale grey slacks and simple flats. (I was too close to her to get a full shot; hence, I'm showing her outfit in pieces.) I'm crazy about her cropped grey hair and dark shades. Tres cool! 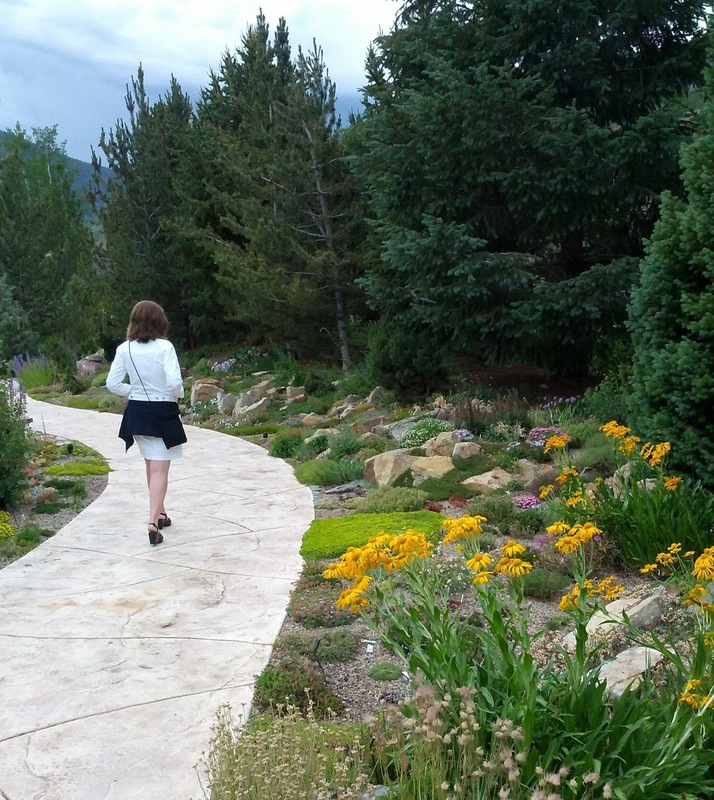 Fortunately, it had stopped raining by the time we got to the alpine garden. It's a small park with beautiful rock gardens. I didn't need a sweater while we walk around, so I wrapped in around my waist. We'd bought our tickets for the concert online before we left. We didn't want to worry about the weather, so we chose seats under the roof. It was dry, but pretty chilly. I ended up wrapping my sweater around my bare legs.